A friend of mine was just asking me for advice on the best way to start losing weight. I recommended they simply start logging their food (calorie counting) using the MyFitnessPal app on the phone. The whole idea is if you simply eat less calories than you burn in a day, overtime slowly but surely you will start dropping the weight. The smartphone app is even more efficient than the website. I wouldn’t even have been able to keep my streak up if I didn’t have the app probably. But anyway, I asked her what her goals are and she said she wanted to lose 10-15 pounds and that she “lost 5 pounds already but that is negligible.” And I was like whoaaaaaaa there! Five pounds of fat is NOT negligible! If you knew what five pounds of fat looked like, you’d be proud, or maybe throw up! Haha! 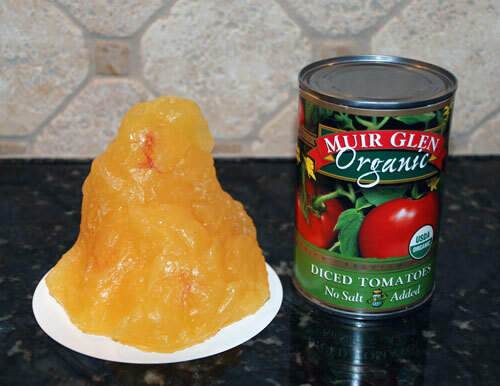 So if that’s just 5 pounds of fat… Can you imagine how gross 20 pounds, or 50 pounds of fat looks like? I’ll leave that up to your imagination. 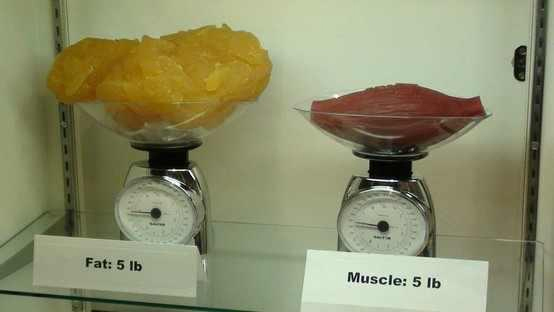 But you may be wondering if 5 pounds is THAT significant-looking, then how does 50lbs of fat even fit in the body! Well, fat is not just stored around your belly and thighs like a belt. The sticky fat gets embedded between all your internal organs and that’s known as visceral fat. This visceral fat is much more dangerous than the cosmetic (subcutaneous; under the skin) version because this “organ fat” is what truly affects your cardiovascular system. 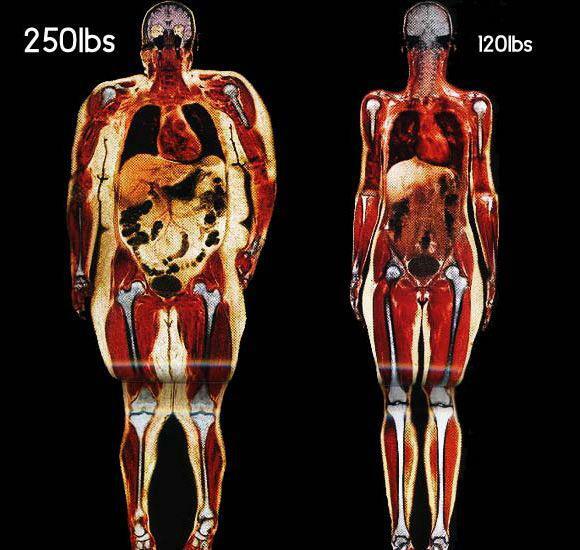 Notice the 250lb person has some extra fat around the arms and legs but MOST of it is packed up in the abdominal cavity! 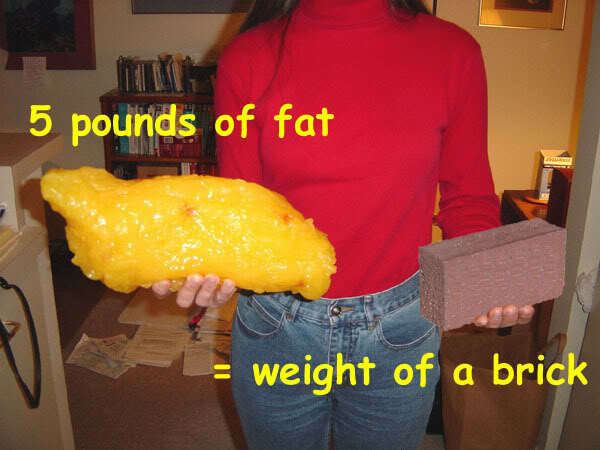 But anyway, back to basics… even if you lose just one pound of fat… look how significant it is! Are you still mad you lost only one pound? So how do we lose just one pound of fat a week? You could also do some exercise that burns 500 calories in an hour, but it’s physically SO much easier to simply eat a little less, than have to vigorously swim laps for one hour straight to create the same 500 calorie deficit. In reality, it’s best to do a little bit of both. Eat at a slight deficit everyday and throw in your favorite sport/hobby a few times a week. And if you feel some hunger, don’t run and immediately get some stupid snack just because you think your body is going to shut down cause you haven’t ate for a couple hours. Hunger isn’t a bad thing. Think of it as fat leaving the body.